ROCHESTER, N.Y., June 27 – Eastman Kodak Company and Kingsbury Corporation have entered into an agreement to produce next-generation touch screen sensors, to support the touch sensor module market that is predicted to grow to $32 billion by 2018. Under the agreement, Kingsbury will open a new manufacturing facility in Bldg. 318 at Eastman Business Park in Rochester later this year to produce touch screen sensors utilizing Kodak’s silver halide technologies. Kingsbury will also work with customers who wish to integrate this technology into their own manufacturing facilities to produce sensors. Kodak will supply chemicals, substrates and technical support, and assist Kingsbury with the marketing and selling of the sensors. “The new manufacturing and marketing partnership between Kingsbury and Kodak represents a major milestone in the scale up, commercialization, and roll-out of touch sensor films to meet the growing global demand for these products,” said Bill Pollock, Kingsbury President and Chief Executive Officer. Kingsbury, a century-old builder of high speed assembly machines, will work in conjunction with Optimation Technology, Inc., a world class designer of roll-to-roll web based manufacturing systems for the design and implementation of the touch sensor manufacturing plant. Touch sensors manufactured by Kingsbury will be based on a roll-to-roll manufacturing process. 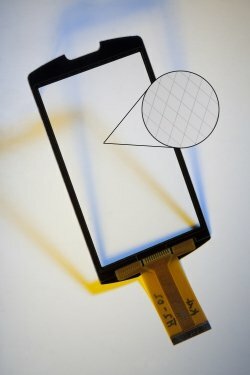 Compared to the traditional film-based Indium Tin Oxide (ITO) touch sensor solutions, the advantages of this new process include lower production costs due to fewer manufacturing steps and lower resistance for improved touch response. The attributes of these sensors address the requirements for multiple form factors and compatibility with flexible applications. Kodak is transforming into a B2B company focused on its Commercial Imaging business. Kodak will be centered on commercial, packaging and functional printing solutions and enterprise services, markets in which it offers customers advanced technologies that give them a competitive edge. The company also offers leading products and services in Entertainment Imaging and Commercial Films. Its Personalized Imaging and Document Imaging businesses are being spun off to KPP. For additional information on Kodak, visit www.kodak.com.